ZOMBYRA THE DARK - Yu-Gi-Oh! This card cannot attack a player directly. 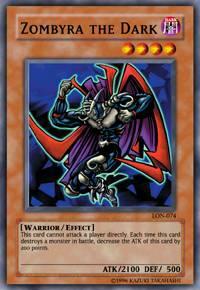 Each time this card destroys a monster in battle, decrease the ATK of this card by 200 points.